[toc]Sinus congestion is a common and mostly harmless condition, but there is no doubt that it is very discomforting. You will have constant pain in the forehead area, coupled with a pressure feeling in the face and a difficulty in breathing. You may also have postnasal drip. Sinuses are a group of cavities in the skull that contain air. Their function is to save the body from pathogens and allergens that are borne in the air you are breathing in. Before these pathogens and allergens enter the body they are encountered by the sinuses. They secrete mucus so that these foreign bodies can be trapped in the fluid. This is a natural defense mechanism of the body and it saves you. However, in doing so the mucus secreted by sinus fills the nasal cavity and that brings us to our next discussion – remedies for sinus congestion. As a matter of fact, you should not gulp down antibiotics and pain medications or even cough suppressants. Your immune system has done the job. Now the task is to ease the pressure, pain and breathing. This can be very well done by herbs. 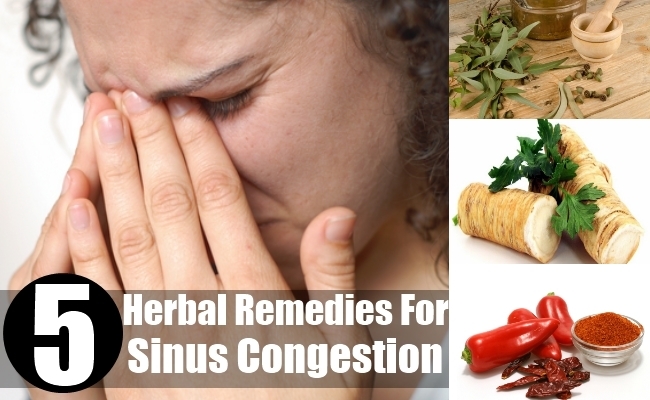 There are a lot of herbal remedies for sinus congestion. Let us explore some of these. 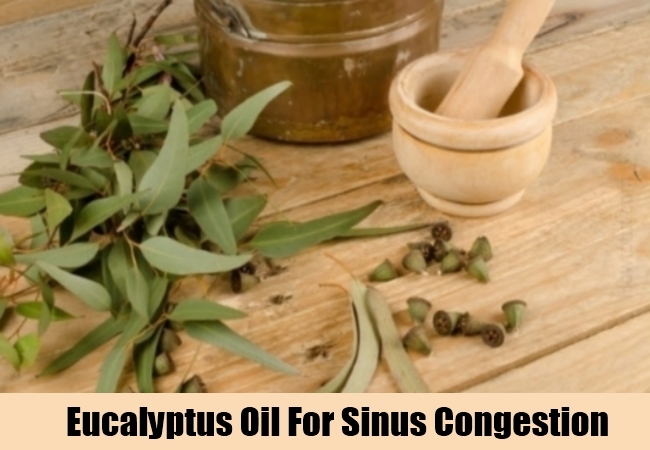 The oil of eucalyptus has been used since ancient times to treat sinus congestion. Eucalyptus oil is a high-grade decongestant and antibiotic element. It has been seen that it can decongest your sinuses within a day or two. The best way to take eucalyptus oil is to have a few drops of it in an inhaler. Inhale it frequently throughout the day. You will feel relieved. This herb has been used by our forefathers to relieve sinus congestion. It is known to be a distant relative of mustard. This hot spice is able to increase blood circulation in the facial region, and helps in removing mucus from the upper part of your respiratory system. It has been seen that it promotes mucus removal. 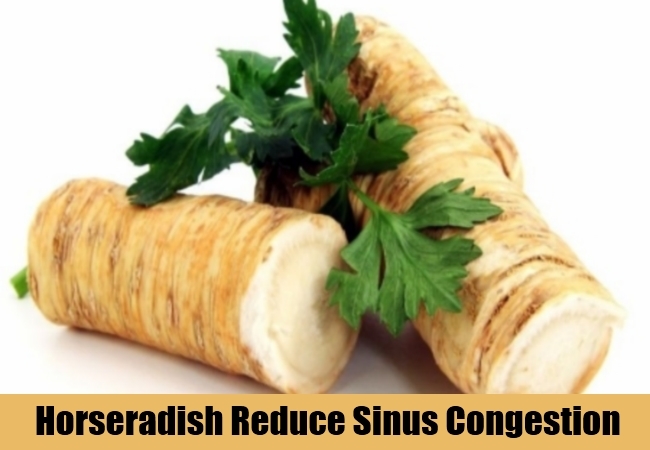 Horseradish dilutes the mucus and helps you in expelling it through cough and sneeze. 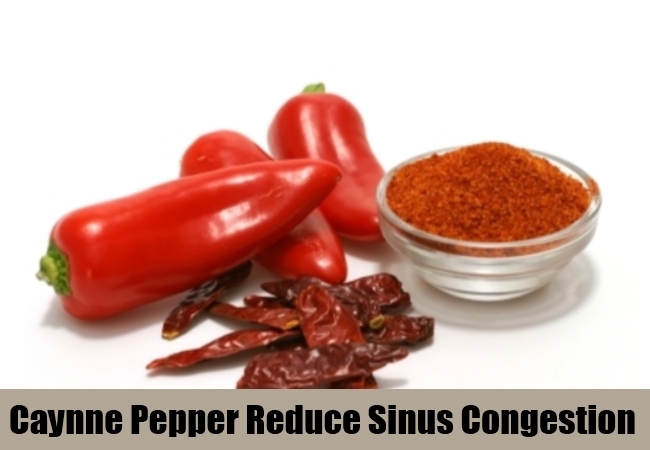 This is another hot spice that can be of quite a use in relieving sinus congestion. The moment you have some caynne pepper you know that even the smell of caynne pepper is going to open up some blocks. It also increases blood circulation and promotes decongestion. So sprinkle generous quantities of caynne pepper in your hot chicken soup. The warmth of soup and heat of caynne pepper is surely going to decongest the sinuses. This herb is very useful in treating bacterial infections as well as in strengthening the immune system. Your immune system needs to perform to its full potential in order to fight infections. So you should take elderberry as soon as you get the hint of cold or viral attack. However, along with being a potent antibiotic and antimicrobial herb, it works excellently as an anti-inflammatory as well as a decongestant. 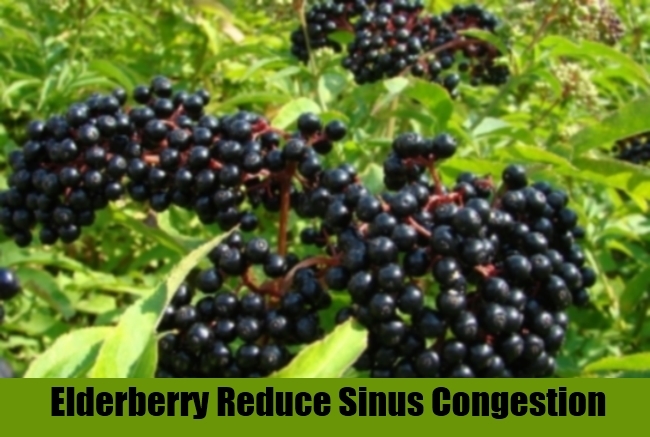 So if you take elderberry, you are getting all round treatment for sinus congestion. A hot cup of tea, especially green tea can go a long way in fighting sinus congestion. Green tea is highly antioxidant and rich in vitamin C. This makes it a very good antimicrobial agent and a immune booster. Moreover, a hot cup of tea has the ability to loosen some of the mucus along with giving a boost to your immunity and fighting the virus or microbes. So take two cups of hot tea every day to decongest your sinuses.